There was Cherry & Strawberry Fruity Water+ and Orange & Pineapple Fruity Water+. 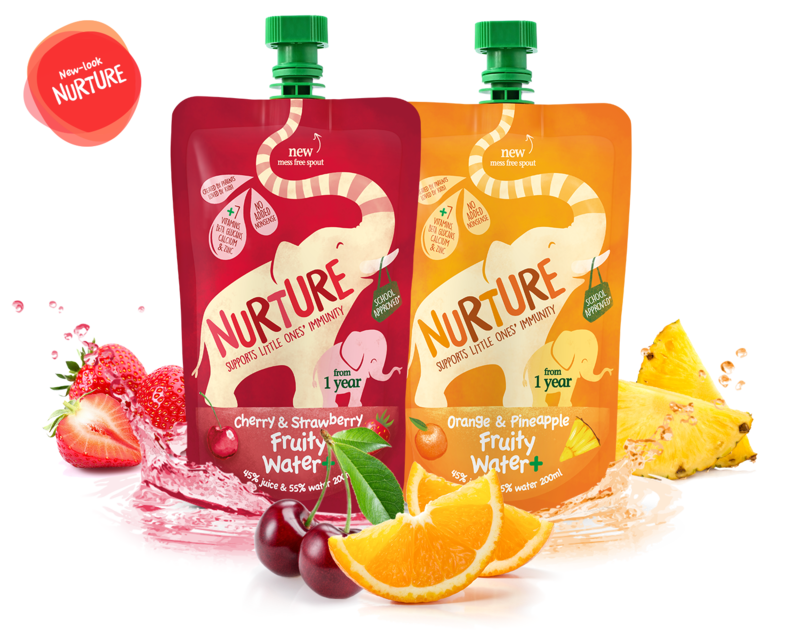 This is suitable from 1 year old and a 200ml bottle contains 45% juice and 55% water and helps to support your child's immunity. It also has a mess free spout to save on those inevitable messy situations little kids get into! It's a still water that contains juice and vitamins - Niacin (B3), Pantothenic Acid (B5), B6, Folate (B9), B12, C, D, Calcium, Zinc & Wellmune Bet Glucans. It contains no artificial sweeteners. preservatives or other nasties. It is also free from lactose and gluten and the drinks are vegan friendly. Vitamins B6, Folate (B9), B12, C, D and Zinc all contribute to the normal function of the immune system. Calcium and Vitamin D are needed for normal growth and development of bones in children, and maintenance of teeth. While I haven't personally tried them, my little man seems to really enjoy them. They've quenched his thirst whether in the house or out and about in the park. They're really convenient and I love the fact that I know my little man is getting the vitamins & minerals he needs while having a drink he is clearly enjoying!